Recorded live at the Australian Society of Anaesthetists National Scientific Meeting held on the Gold Coast, Australia in October 2014. Second segment in the session “The Socially Enhanced Anaesthetist”. Main presenter today is Doctor Bill Crozier, an Anaesthetist in Brisbane, Australia. Bill was originally trained as an anesthetist in the United Kingdom but has lived and worked in Australia for the last 24yrs. The tagline on his blog summarises his style nicely when it says “the essentially inane ramblings of a guy living in the best place in the world who is in almost complete denial of the aging process”. 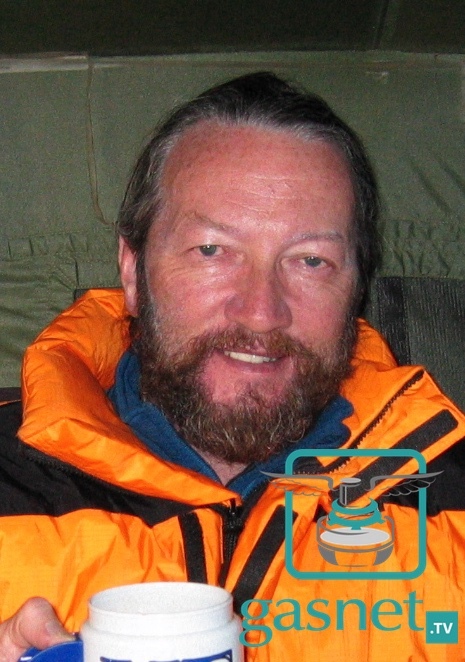 Bill has a strong interest in High Altitude Medicine and Physiology as well as the underlying cell and gene responses to the low oxygen environment. He has travelled to the Himalayas every year for the last 10 years and his blog started as a way to share his travels. WordPress – The website itself has been upgraded from Blogger to WordPress on a dedicated server. Mobile Friendly – automatically generated mobile friendly website. This site can be saved as a bookmarklet and once a few more episodes have been uploaded to our server there will be a Gasnet.tv app for both IOS and Android devices. itunes – Gasnet podcasts are now available worldwide for subscription from iTunes or the Apple native podcasts app. Stitcher radio – The Android software ecosystem does not yethave acentralised place for podcasts. Facebook – Gasnet page for announcements, especially new podcast episodes. Please share the Gasnet Facebook page with any other Anaesthetists you happen to know. The gasnet podcast is released under a Creative Commons Attribution – NonCommercial – NoDerivatives International license. Make copies and share with your friends. Just dont change it or sell it or use it in commercial products without permission from us. Presentations recorded during the Australian Society of Anaesthetists meeting are reproduced with the permission of the organisers. Next podcast episode – what Twitter has to offer anaesthetists in 140 characters or less.